Two former British Petroleum (BP) executives join Big Data efforts with OAG Analytics, one of the most advanced oil and gas-focused analytics platform available today. The addition of Colin Goodall and Dr. David Bamford both add substantial management experience with both large and small oil and gas companies. Mr. Goodall and Dr. Bamford both understand the value of using OAG's unique data driven approach to evaluate reserves and optimize wells in this challenging market. OAG Analytics, Inc. (OAG), a software company bringing big data and advanced analytics to the upstream oil and gas business, has named two senior oil industry executives to key positions. Mr. Colin Goodall, former chief financial officer of BP Europe, has joined the OAG’s Board of Directors. Dr. David Bamford, former chief geophysicist and head of exploration for BP, will chair OAG's Board of Advisors. Both also have substantial management experience with small and independent oil companies. Luther Birdzell, OAG’s chief executive, said, “Mr. Goodall’s combined oil and financial expertise perfectly complements OAG’s efforts to create competitive advantage for oil companies, lenders, and private equity firms by using advanced analytics to evaluate upstream assets. Dr. Bamford’s upstream technical expertise is invaluable in helping to make OAG a leader in delivering big data techniques, pioneered by firms like Google and common in other areas of finance, to the oil industry. They both understand the value of using OAG’s unique data driven approach to evaluate reserves and optimize wells, particularly in this challenging market." Founded in 2013, OAG has developed and delivered one of the most advanced oil and gas focused analytics platforms available today. 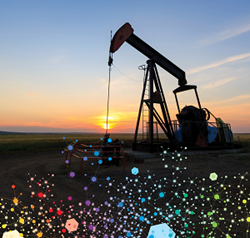 Working with several leading U.S. oil companies, OAG developed software to analyze large volumes of existing data and provide actionable insights that were previously inaccessible. Whether evaluating assets or better understanding investment risks, OAG’s purpose-built workflow provides highly leveragable data analytics capabilities to asset teams and investors. Mr. Goodall has over 50 years of experience in the resources sector globally. He qualified as a Chartered Accountant and spent his early career as a Partner in Touche Ross in London and at Anglo American Corporation in Africa. Colin was a senior executive at BP PLC for over 24 years, in which time he held the role of CFO and Senior Representative in Russia. Since leaving BP, he has held a number of senior Board positions including; Chairman of Dana Petroleum PLC in London, Senior Non- Executive Director of Lamprell PLC in Dubai and Non Executive Director of Sindicatum Carbon Capital Ltd in Singapore. He is currently Chairman of Osmoflo Ltd, a water treatment company operating in the Middle East and Australasia, as well as Chairman of Golden Horde Ltd, an upstream gas company focused on Central Asia. Dr. Bamford holds a Physics degree from the University of Bristol and a Ph.D. in Geological Sciences from the University of Birmingham. Bamford had a successful 20 year career at BP until his retirement in 2003. During this period he was Chief Geophysicist (1990-1995), General Manager for West Africa and then Norway (1995-1999), and finally Head of Exploration (1999-2003). From 2004 to 2014, Bamford was a non-executive director at Tullow Oil PLC, in which time he served on the Nominations Committee, was Chairman of the Remuneration Committee, and was Senior Independent Director. Bamford joined the board of Premier Oil PLC in May 2014. In addition, Bamford has served on the board’s of Paras Ltd in the UK, Welltec a/s in Denmark and ASX listed Australia Oriental Energy. Bamford was a founder of Richmond Energy Partners and several media companies that focus on the oil & gas sector, and has served as an advisor to Alliance Bernstein, Opus Executive, the Parkmead Group PLC, and Kimmeridge Energy LLP. Contact info@OAGanalytics.com for further information.